The January 10, 2011 Council Meeting was called to order at 7:30 P.M. by Mayor Charles Norskog. Mayor Charles Norskog, Councilpersons Richard Hawkins, Traci Fallow, Thomas Sims and Brian Carsten and John Ruymann answered roll call. Motion was made by Councilperson Carsten and seconded by Councilperson Hawkins to approve the minutes of the regular meeting of December 13, 2010 as presented. Motion carried. 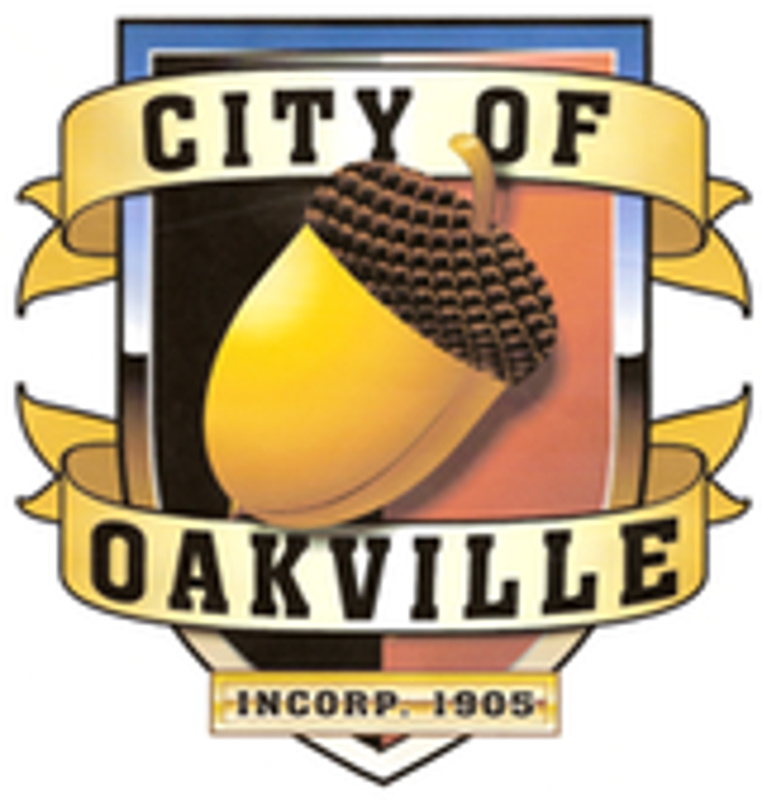 Deborah Baker-Receniello, Manager of the Oakville Timberland Library, wanted to bring Council up-to-date on some of the programs the Library is having. Art classes, writer’s meetings, Adult Winter Reading Program. Councilperson Fallow asked Deborah about the status of a new library building. The FOTL are working with the School with various options suggested. Mayor Norskog stated there has been a problem with the building’s heat pump. After a review of the repair records, the Mayor contacted the company and complained about the numerous repairs that have been occurring. The company came back stating they would replace the heat pump and the emergency heat strips at a cost of $2,800 and the labor would be done at no charge. The Newton Street railroad crossing is going to be repaired by the railroad. Lt. Porter presented a written report of hours for the past month. Council was also given a report showing the year totals for calls for services as recorded by the 911 center. The City Attorney presented a written report of legal activities as of January 10, 2011. Dan Thompson read a written report of activities up to January 2011. There will be a workshop presentation on January 24th, with the Evergreen Rural Water Association and the Department of Health to discuss the city’s water system plan update. Dan has completed an updated scope and summary for the Downtown Improvement Project. The next work focus will be in the formation of specific proposals and to forward them on to funding agencies. Parks: The basketball/multipurpose project have been funded by the Council. Enclosed in the Council packets was a construction schedule draft along with estimated cost and Dan asked Council for their suggestions and comments. The Red Cross supplies have been moved from the School to City Hall upstairs in the old police evidence room. Chehalis Basin Flood Authority Status Update - The results of the phase II B study on water retention was explained by the EES engineering. Next topic was an open discussion on what the member jurisdictions needed in the interlocal agreement to participate in the tri-county Flood Control Zoning District. Comments made where: everyone needs to pay their fair share; the FCZD Supervisors needs to be elected; the boundaries need to include the flood plain and the watersheds surrounding them and, finally, there needs to be more solutions other than water retention. The action items on the business meeting agenda were the submission of the tri-county legislation to the State Legislation for approval in the next legislative session this month. FCZD is drafting an interlocal agreement that all jurisdictions can agree on and meet the legislature deadline of June 2011 to have a basin wide Flood District in place. Park Project -A rough design of the project was included in the Council’s packet. Councilperson Hawkins asked Dan what the cost difference is between Type B asphalt and Type G asphalt. Councilperson Carsten moved to let Dan go ahead with the estimated cost of construction within $1,000 difference. Seconded by Councilperson Ruymann. Motion carried. Hess Letters 12-17 and 12-28-2010. Fagerness Water Rights Letter of December 14, 2010. Mayor Norskog would like to request from the Council permission to go ahead with negotiations (but not to enter into agreement) for this new source of water rights. Councilperson Hawkins made a motion to authorize the Mayor and the Public Works Director to look into the water rights and get answers to Council’s questions as well as more information. Seconded by Councilperson Fallow. Motion carried. 2011 Council Committee Update - This will be discussed at the next workshop. New Janitor Contract: The present janitor has moved and is trying to service us from afar. The City has received an estimate from a company located in Elma comparable to present costs. Council has a copy of the provided services in their packets. Councilperson Fallow moved to allow the Mayor to terminate the current janitor contract. The City Attorney informed Council the procedure to follow regarding the termination. Seconded by Councilperson Ruymann. Motion carried. Resolution 371, Resolution Authorizing Investment of Monies in the Local Government Investment Pool. make deposits and withdrawals on behalf of the governmental entity. Motion was made by Council-person Fallow and seconded by Councilperson Carsten to adopt Resolution 371. Motion carried. Resolution 372, A Resolution Relating to Governmental Operation, Formalizing a Policy in Relation to Development Requirements. (Water Rights Policy). Tabled for the next work session. The City Clerk presented Checks #16341 thru #16350 dated 12-27-10 in the amount of $1,694.94. Checks #16351 thru #16375 dated 01-05-11 in the amount of $25,849.35. Payroll #11440 thru 11454 dated 12-31-10 in the amount of $11,808.22. Motion was made by Councilperson Carsten and seconded by Councilperson Hawkins to accept Clerk’s Report as presented. Motion carried. Deborah Baker-Receniello, Timberland Library Manager, heard from Edna Fund, a Board Member of the Timberland Regional Library and also a representative of the Flood Authority Committee that she is very pleased that Dan Thompson is also on this committee and was thankful for his feedback. Councilperson Carsten asked about the Hess letters. These letters were included in the Council packets along with a letter from the City Clerk addressing Mr. Hess’ concerns. The City Attorney also received a letter to which he responded. The City Attorney has provided a copy of both Mr. Hess’ letters and his response to the office of the State Auditor. One of the areas about which Mr. Hess has become distressed about is the adoption of the garbage ordinance and the fact that since he has refused the service, he has been cited in Court. Councilpersons Carsten and Ruymann wished everyone a Happy New year. Mayor Norskog stated he is looking forward to the coming year and is hoping for a better year than last year. He was encouraged to see all the young folks in the audience and asked that they come more often than once a year to see how government works.